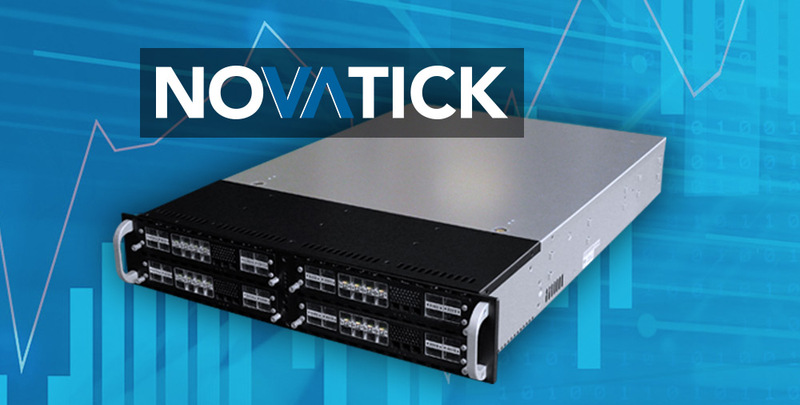 The new hardware upgrade reduces ticker plant latency by 20%, multiplies instrument density by 10 and unleash new consumption and integration models. We are the leader in extreme low latency market data solutions for the capital market industry. Our unique FPGA centric approach delivers sub microsecond processing latency including book building, even during market peak periods. 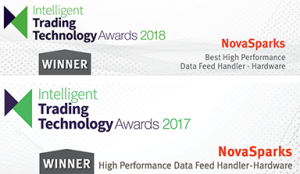 Available for over 60 feeds among the major Equity, Futures and Options venues across North America, Europe and Asia, the feed handlers are packaged in ‘easy-to-deploy’ appliances offering an extensive fan-out capability for market data distribution. Founded in 2008 and backed by well-established investors, NovaSparks’ offices are located in Paris, France and New York, USA. Could the NovaSparks FPGA platform give you a trading edge? If your trading strategy relies on ultra-fast, deterministic and reliable access to the market data, there is no alternative. Software Ticker Plants solutions rely exclusively on CPUs to handle market data and are not capable to offer the lowest latency, especially during market spikes. Memory bottlenecks, operating system overheads, poor parallelism, compiler limitations and slow networking stacks are among the many factors constraining performance and causing long tails in the processing latency distribution. High resiliency is possible since the FPGA is not affected by the various software changes/updates typically required in a trading infrastructure. The design merges line handling, order book building with management and data distribution functions and is engineered to scale across markets and consumers.